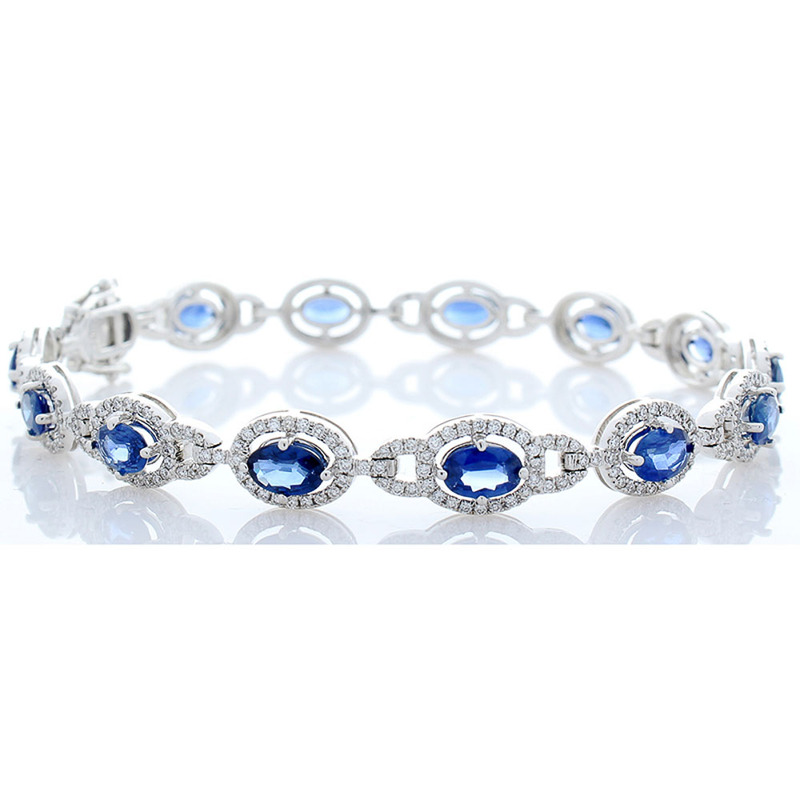 This decorative Art Deco style bracelet has 14 ,oval cut, blue sapphires totaling 7.63 carats laying in a east-west orientation. The gem source is Sri Lanka; the suite is perfectly matched in size, royal blue color, transparency, and luster. These vibrant blue sapphires are complemented by 392 round brilliant cut diamonds that are prong set around each sapphire in a dazzling halo totaling 3.85 carats. Crafted in rich 18 K white gold in a bright polished finish, this classic bracelet closes with a hidden slide clasp and fold-over safety latch for added security.